Comfort to Go features an elegant travertine stone finish. 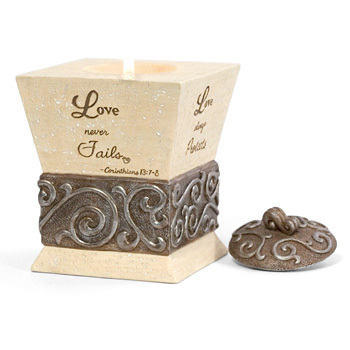 The sentiment is carved into each item and topped with a decorative aged bronze finished lid. Each piece will come in a stylish gift box to make for the perfect "Gift to Go".